Cartier debuted an all new automotive-inspired watch collection, called the Drive de Cartier, last week in Geneva. The automotive inspired design is distinguished by a cushion-shaped case, crafted in steel or pink gold – with a choice of a black, grey, or white dial. Satin textured flanks contrast against the fully polished surfaces on the top and bottom of the case, highlighting its elegant curves. Each dial, is punctuated by large Roman numeral hour markers, intricate guilloché motifs, and sword-shaped hands (blued steel or pink gold). There are three models within the Drive collection, starting with a three-hand and date model, then a retrograde dual time with day/night indication, and a complicated flying tourbillon model at the top of the line. 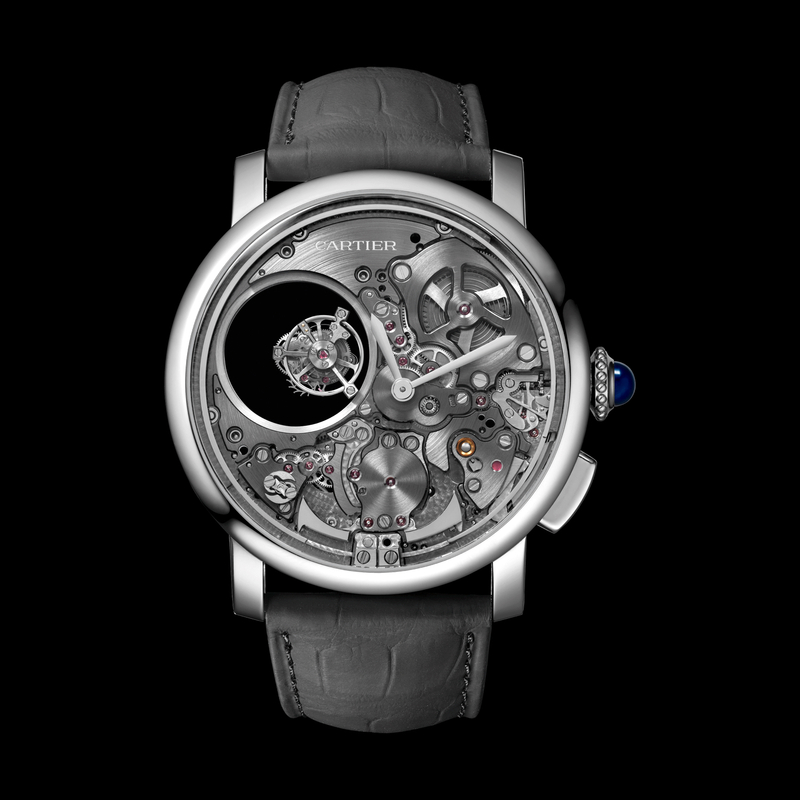 The first is powered by caliber 1904-PS MC which has hours, minutes, small seconds, and date. The second is powered by caliber 1904-FU MC and has hours, minutes, small seconds, date, retrograde second time zone, and day/night indication. Finally, the Drive de Cartier watch is also available in a Fine Watchmaking version, with a flying tourbillon 9452 MC, certified “Poinçon de Genève”. 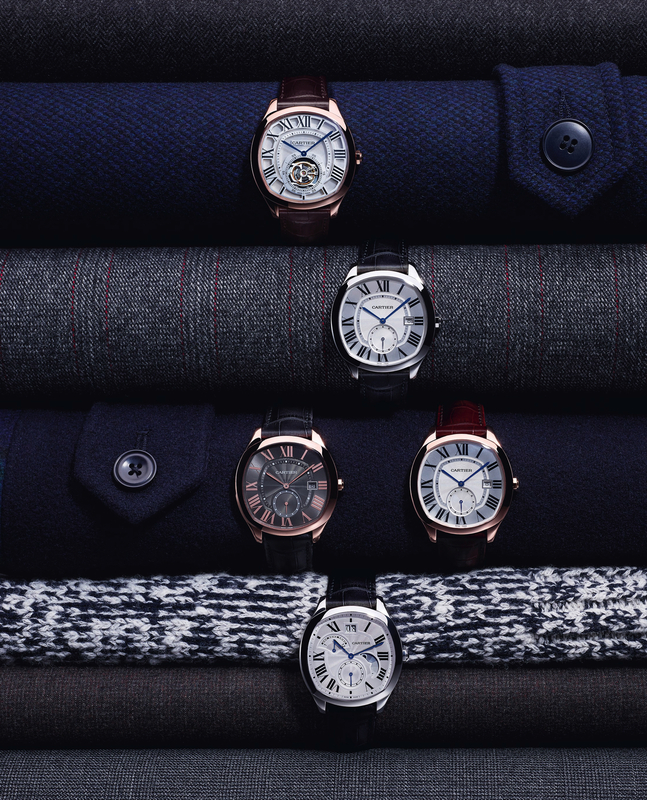 All three are produced at the Cartier Manufacture, as designated by the acronym MC. Refined finishes such as the Côtes de Genève decoration on the bridges and the oscillating weight, or the polished screw-heads, make turning over the watch and looking through the transparent caseback, pleasing to anyone who cares as much about the face of a timepiece, as the mechanics. 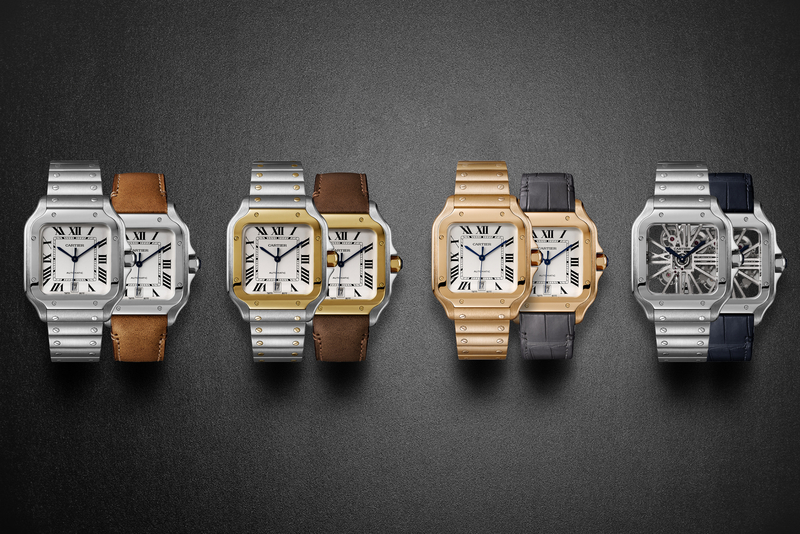 With the Drive collection, Cartier has created a contemporary look, that is both unique and attractive, without sacrificing their classic aesthetic. Moreover, from the dial that resembles an automobile’s radiator grill to the winding crown shaped like a bolt – there are subtle hints of motor cars throughout. Each piece is perfectly paired with a brown or black alligator strap and matching adjustable buckle. The starting price in steel is $6,250 and $19,300 in pink gold. Available in April.